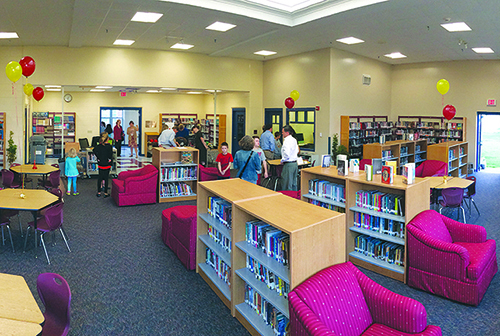 This newly envisioned space for the middle school students is flexible enough to support research, academics, multi-media presentations, and group study. In the words of its creators, “It nurtures 21st Century education characterized by collaboration, communication, creativity and critical thinking.” Converting the traditional library into a whole new space has given it an energy and vibrancy that is welcoming, flexible and adaptable to the future. It fulfills CEEF’s mission to fund innovation and excellence by encouraging creative, interactive learning.